Ever seen Man vs Food on TLC? How the once huge Adam Richman finds eateries across the length and breadth of USA to land with the most outrageous challenges. I envied that guy each time he devoured a 16 pound burger or the tallest glass of milkshake to claim the title – Man won! More often than not, Food won. The show wrapped up and months later, Adam Richman depreciated into one-fourth his size, which is truly remarkable feat in itself. I wanted to be in Adam’s place so many times. Hell, I wanted his job! But alas! So I decided, in my own way to set food challenges and try and beat them. 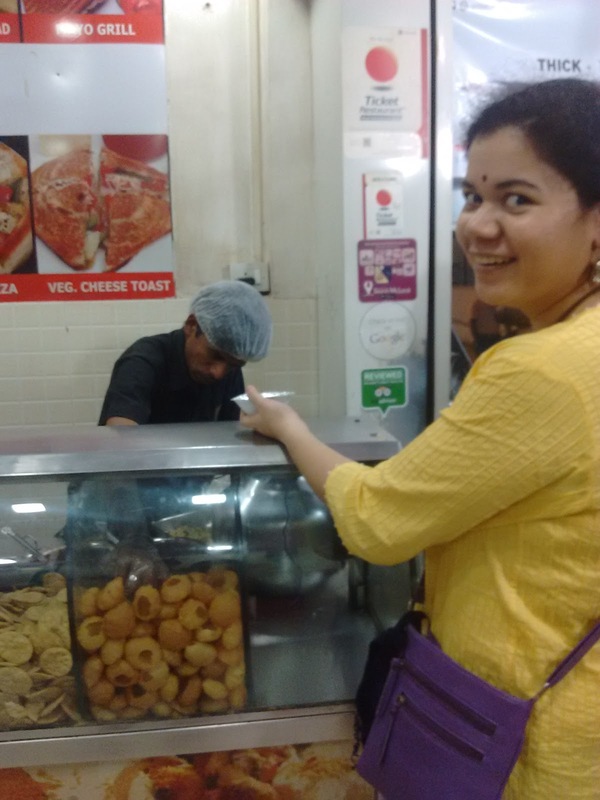 So the point of this post is, how I challenged myself truly out of sheer madness to have the most pani puris in one hour at any neighbourhood. This was my Fantastico Challenge no. 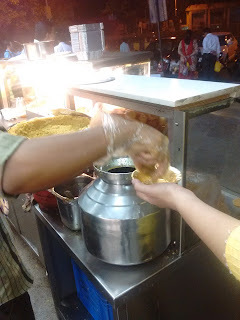 1 - Pani Puri Madness. Why pani puri? Why not something else? A) Because pani puri is also one of my favourite foods. B) I’ve always wanted to do this crazy challenge. C) Because I honestly don’t have that kind of money. It was either pani puri or ragda pattice. And so one chilly winter night in Vashi, Navi Mumbai I started the challenge and was timed by my brother. I aimed to gobble down at least 7 plates of pani puris. We started at 7 PM. This outlet had to be number one since I love the sukha puri and the sev puri here. He uses boondi for the paani puri and it was yummy, I finished one plate in no time. 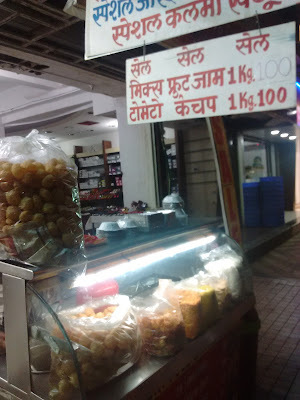 If you plan to visit here, reach here before 8 PM, else most of the chaat will be sold out. We reached the place via car ride at 7.17 PM. I was ready to gobble down another plate of these yummy gol gappas. Jhama is best known for his piping hot Jalebis. You MUST have them right from the hot chachni (sugar syrup). 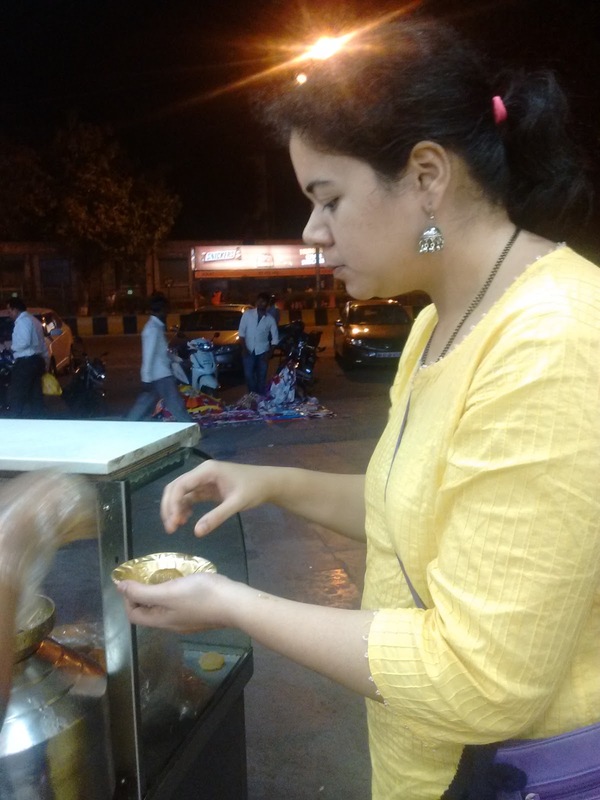 Right around the corner from Jhama, I gobbled my first puri at 7.28PM. 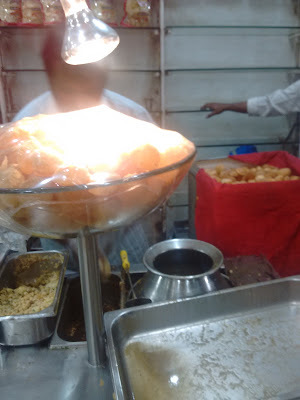 Now this pani puri I liked the best. Maybe the use of ragda is to my liking. I was 3 down and aimed at completing 4 more. Did I make it? Gupta’s is famous for his yummy grilled and toasted sandwiches and my personal favourites are the Veg. Cheese Grilled Sandwich and the Mayonaise Grilled Sandwich. 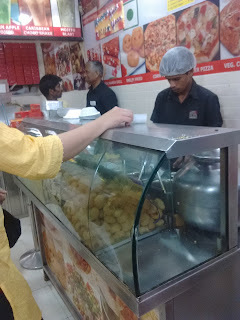 However, not much to my surprise, I felt Gupta Snacks’ pani puri is rather bland. Time was now 7.45 PM. Yes, I forgot to note the name of this outlet down. And now midway through this pani puri plate, I was full. Tried really hard and somehow finished the remaining three. I was well within time, but could not go on any more. White Napkin raised! So, unfortunately, I couldn’t finish my set aim of 7 plates. Only 5 is what I could scrape through. In case you’re wondering how my stomach is, its fine thanks. In case you’re wondering if I’m crazy to do this in the winter chill, well yes I am kind of aren't I? What did you think of this challenge?